Despite the several treatments available for helping the individuals to combat back pain, more often than not, the painful state eventually becomes unbearable. However, there is help at hand. The problems can be efficiently managed with the help of reliable chiropractic treatment, and a stress-free life can be possible once again. All this can be achieved, even without undergoing any invasive or harmful treatment modalities. Individuals who struggle with immense back pain seek relief from various sources, but most of the therapies available are either temporary or harmful. Dr. Allen Conrad, at Montgomery County Chiropractic Center, extends help to those in need with the best possible chiropractic care that they deserve. 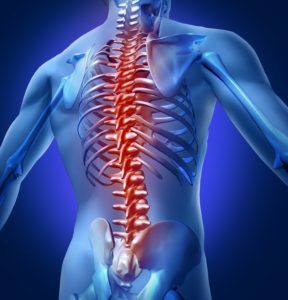 Serving the Lansdale PA community since the year 2000, Our Montgomery County chiropractors works towards giving people unmatched chiropractic care that they require to introduce comfort once again in their life. Whether it’s from a strain, structural problem, sleeping the wrong way, or any other reason behind your back pain, chiropractic care can help you get some relief. Many residents of Lansdale, PA area have learned that chiropractic therapy can be of massive help for you! Call our North Wales Chiropractor office today to reap the benefits of this treatment, less than five minutes from downtown Lansdale Pa. Committed to serving the community and offering the best in chiropractic care, Dr. Allen Conrad is a celebrated back pain specialist in Lansdale, PA that many individuals rely on. Dr. Allen Conrad, often called the best chiropractor for back pain by his patients, is ready to listen to your problem, and offer solutions to help you get back to your daily activities as soon as possible. Dr. Allen Conrad is the Team Chiropractor for the Blackthorn Rugby Club, and is a Certified Strength and Conditioning Specialist through the National Strength and Conditioning Association (NSCA). He can put together a careplan for you including spinal decompression therapy, massage therapy, and chiropractic care for many types of injuries. So, now that you know about Dr. Allen Conrad, don’t waste any more time! Put an end to your back pain issue with the help of a chiropractor, who is highly committed to exceptionally helping his patients.